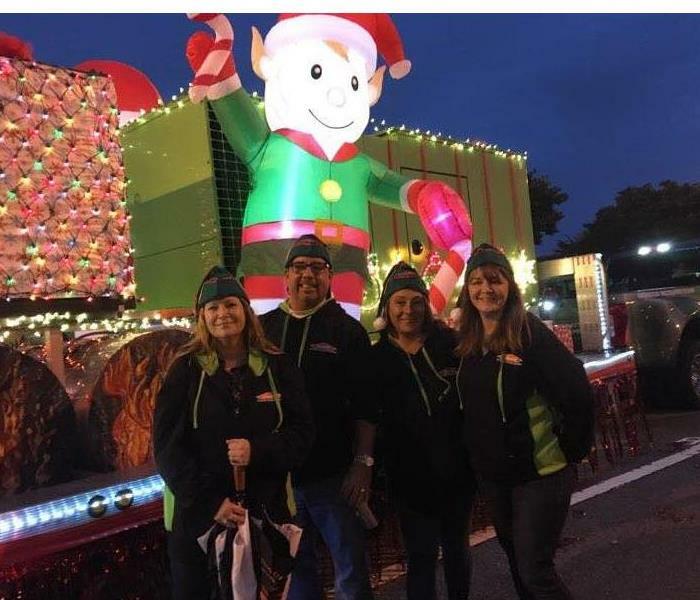 Whether it's representing SERVPRO of Virginia Beach at charity golf tournaments and industry trade shows, participating in the Virginia Beach Holiday Parade at the beach or accepting donations during Z104's Stuff the Bus our Marketing department is always out in the community with smiles on their faces. 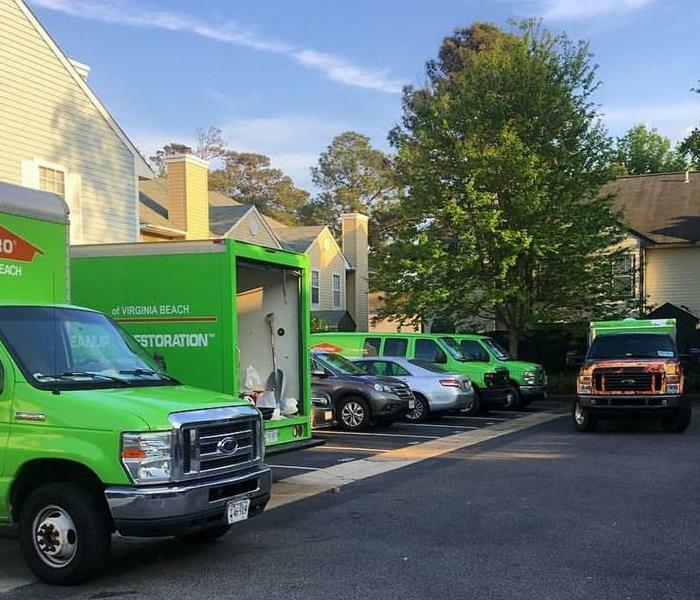 Being part of the Storm Team means that SERVPRO of Virginia Beach responds to emergencies outside of our local area. Following Hurricane Florence in 2018, SERVPRO of Virginia Beach crews were called to help out on a large loss in North Carolina. This was the aftermath of storm damage from a hurricane that caused significant damage to this residential building. 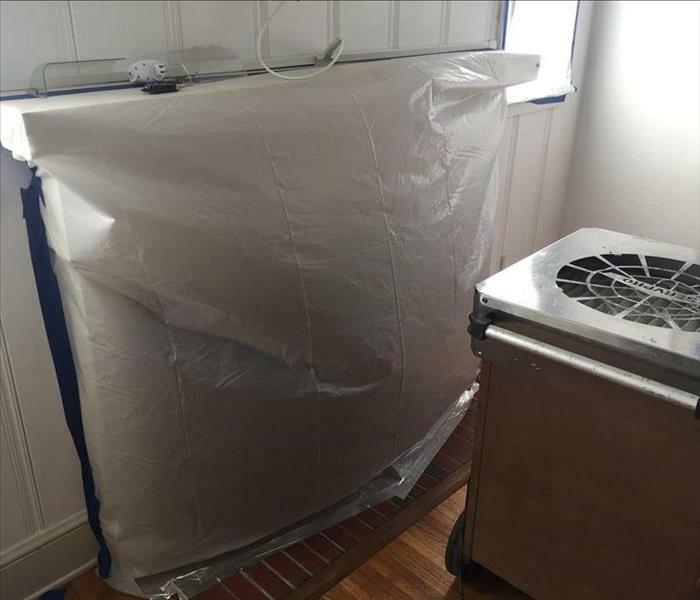 Our SERVPRO technicians had to remove all wet flooring, remove wet drywall and also set drying equipment. Please give SERVPRO of Virginia Beach for any residential mitigation you may need. This was the aftermath of storm damage from a pipe burst that caused significant damage to this commercial building. Our SERVPRO technicians had to remove all wet flooring, remove wet drywall and also set drying equipment. 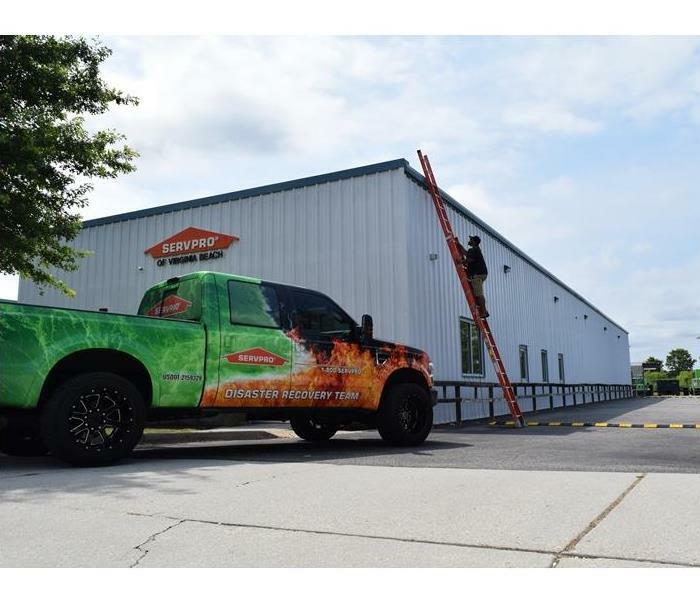 Please give SERVPRO of Virginia Beach for any commercial mitigation you may need. 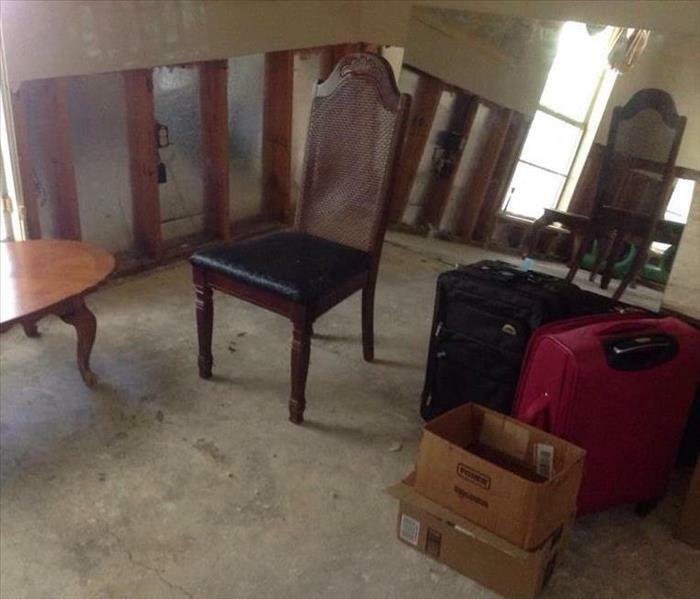 This is a picture of the aftermath of a water damage that took place in this home. 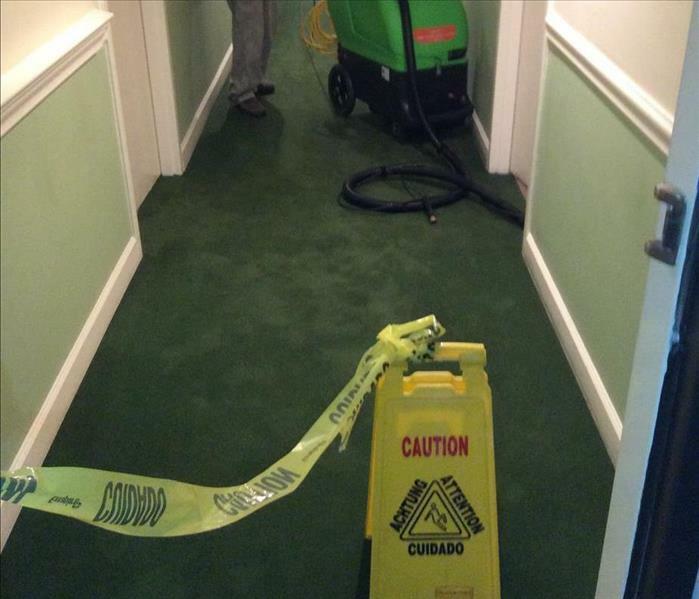 Please keep SERVPRO in mind for all commercial water damage, residential water damage, fire restoration, mold remediation and bio hazard clean up. Give us a call at 757-431-1400. 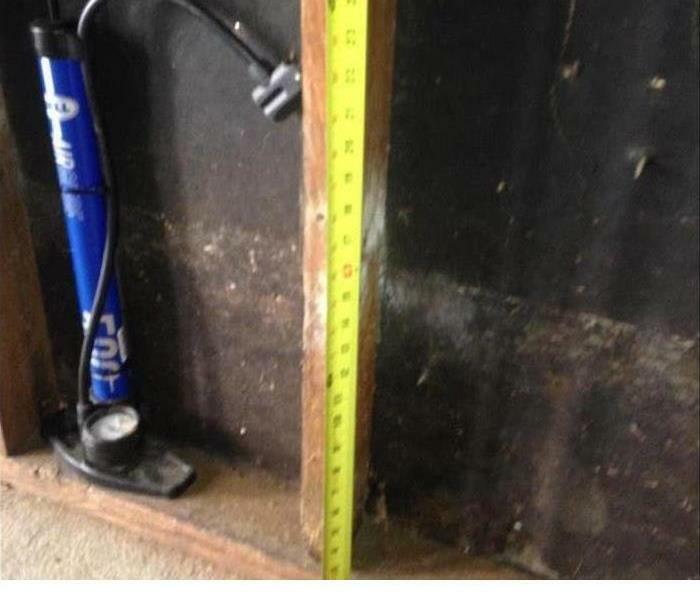 This is a photo of mold that was found in a commercial building here in Virginia Beach, VA. Please keep SERVPRO in mind for all commercial water damage, residential water damage, fire restoration, mold remediation and bio hazard clean up. Give us a call at 757-431-1400. Residential mold remediation being done at local home in Virginia Beach, VA. 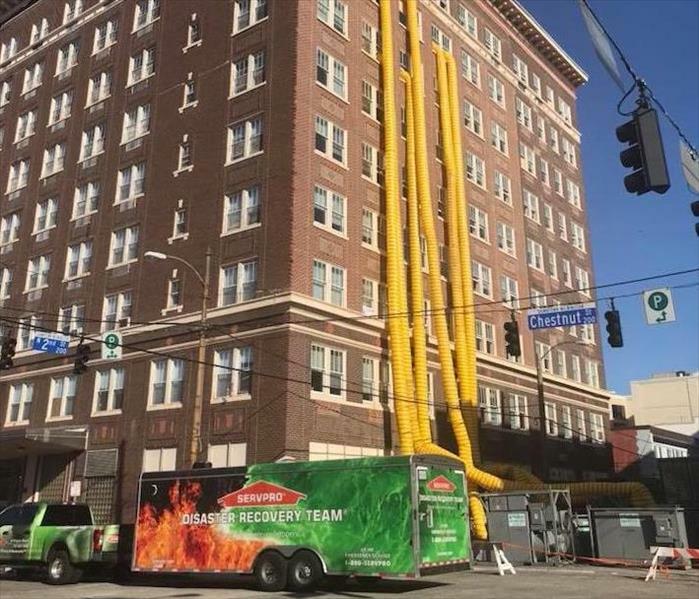 Please keep SERVPRO in mind for all commercial water damage, residential water damage, fire restoration, mold remediation and bio hazard clean up. Give us a call at 757-431-1400. 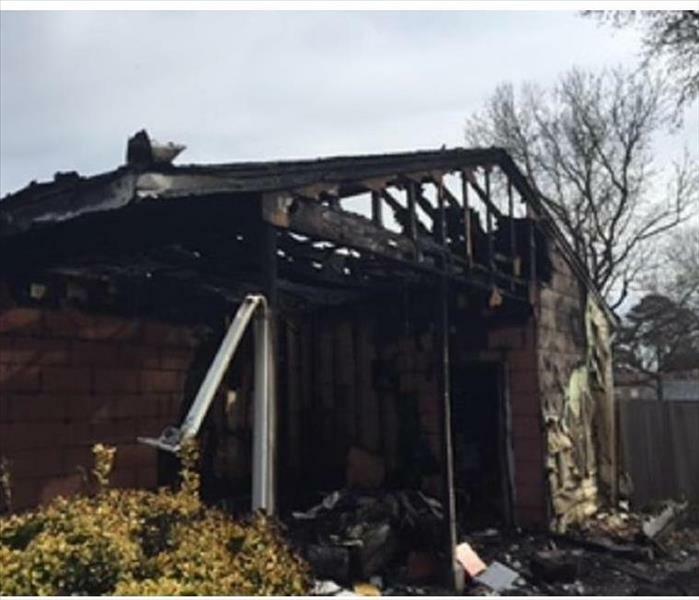 Electrical fire burned down whole home. Please keep SERVPRO in mind for all commercial water damage, residential water damage, fire restoration, mold remediation and bio hazard clean up. Give us a call at 757-431-1400. 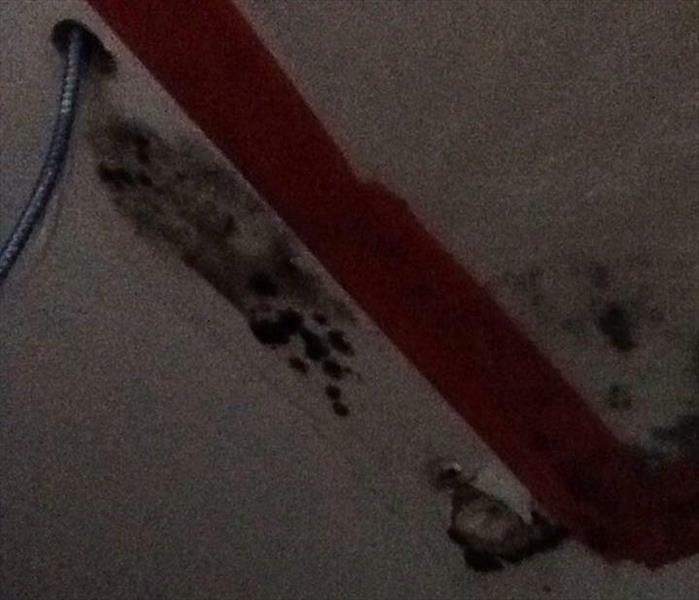 Photo of HVAC Leak in Attic. Please keep SERVPRO in mind for all commercial water damage, residential water damage, fire restoration, mold remediation and bio hazard clean up. Give us a call at 757-431-1400. 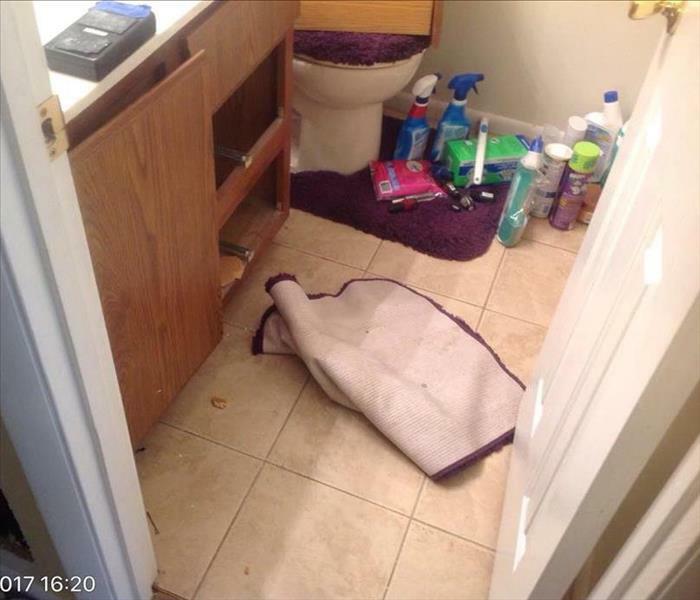 This is a picture of the aftermath of a pipe burst under the sink before any mitigation was performed. 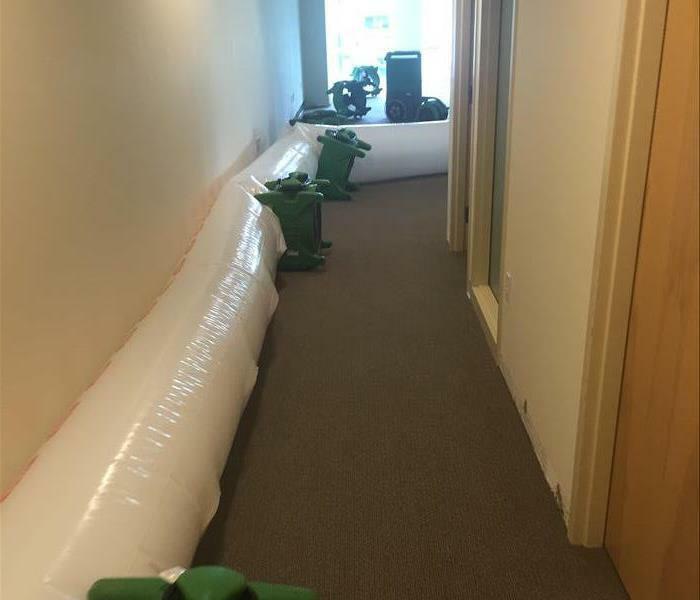 Please keep SERVPRO in mind for all commercial water damage, residential water damage, fire restoration, mold remediation and bio hazard clean up. Give us a call at 757-431-1400. 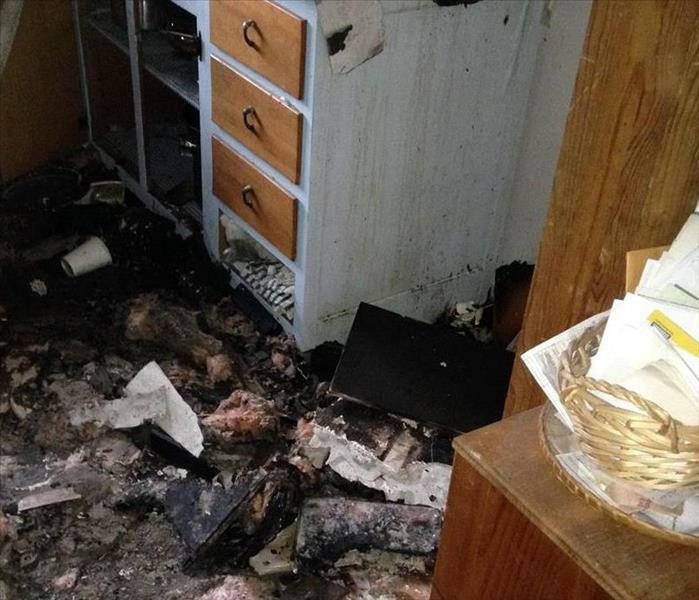 This photo is the aftermath of a house fire that took place early this year. It is still unknown what caused this to happen. 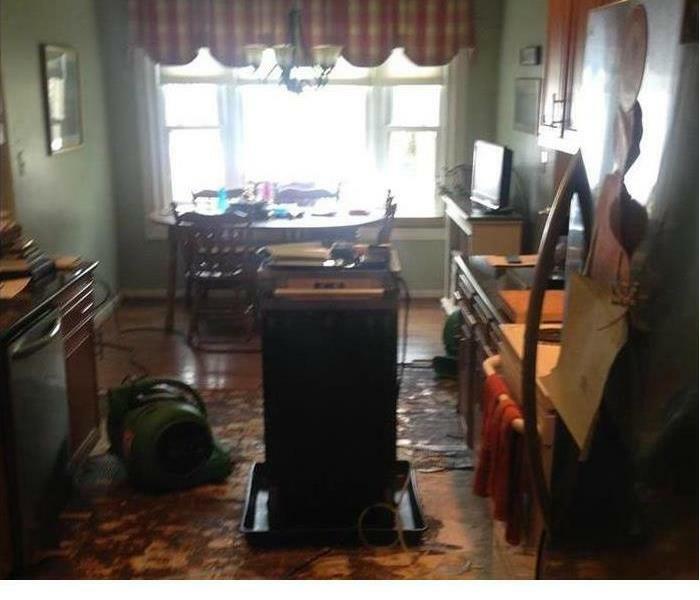 Please keep SERVPRO in mind for all commercial water damage, residential water damage, fire restoration, mold remediation and bio hazard clean up. Give us a call at 757-431-1400. 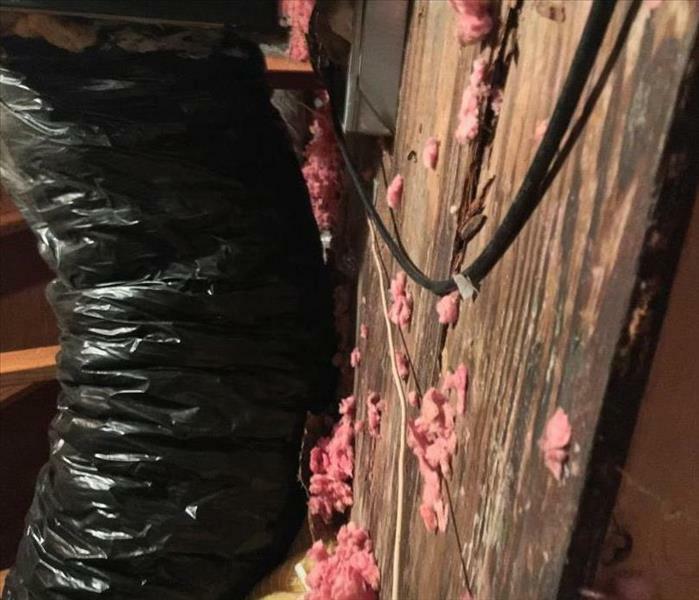 This customer had a slow leak for months and didn't know there was mold until after the pipe finally burst and a plumber went to fix the leak. 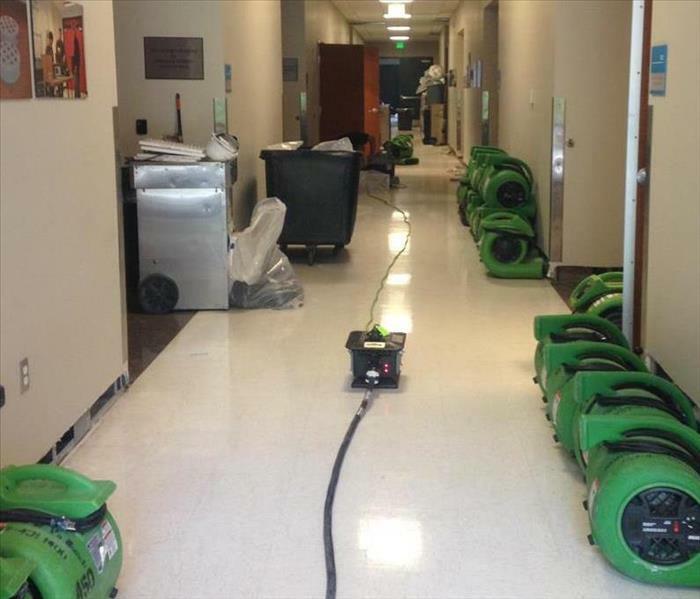 Please keep SERVPRO in mind for all commercial water damage, residential water damage, fire restoration, mold remediation and bio hazard clean up. Give us a call at 757-431-1400. 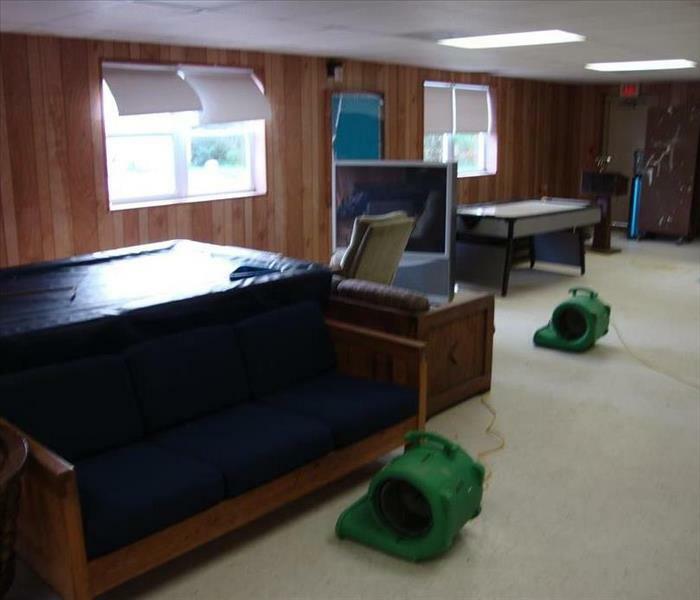 Here is a picture of a water damage that took place at a local Medical building. This is before any mitigation was completed. Please keep SERVPRO in mind for all commercial water damage, residential water damage, fire restoration, mold remediation and bio hazard clean up. Give us a call at 757-431-1400. Our franchise traveled to Louisiana to help out with the aftermath of Hurricane Matthew. Please keep SERVPRO in mind for all commercial water damage, residential water damage, fire restoration, mold remediation and bio hazard clean up. Give us a call at 757-431-1400. 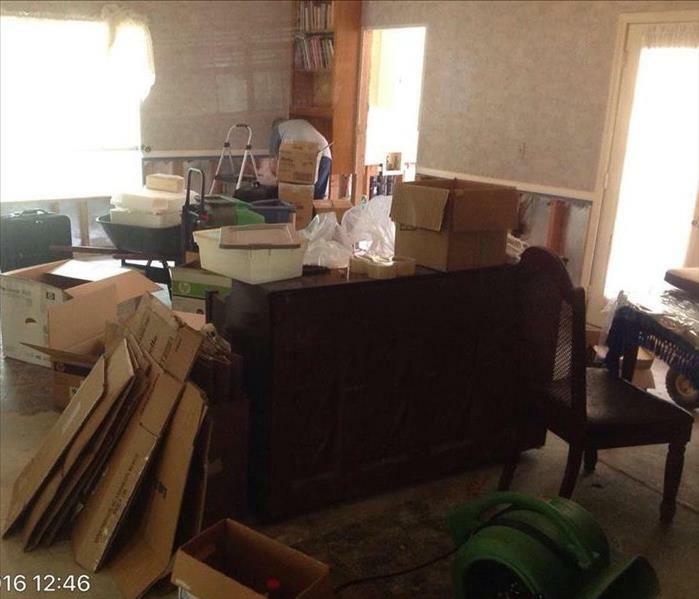 Aftermath of a home in Louisiana that was affected by hurricane Matthew. SERVPRO of Virginia Beach went out there to help them in this time of emergency. Please keep SERVPRO in mind for all commercial water damage, residential water damage, fire restoration, mold remediation and bio hazard clean up. Give us a call at 757-431-1400. Because mold can produce allergens and irritants, you will want a professional that has training and experience to properly resolve the mold infestation. If you suspect that your home or business has a mold problem, SERVPRO of Virginia Beach can inspect, assess and remediate your property. 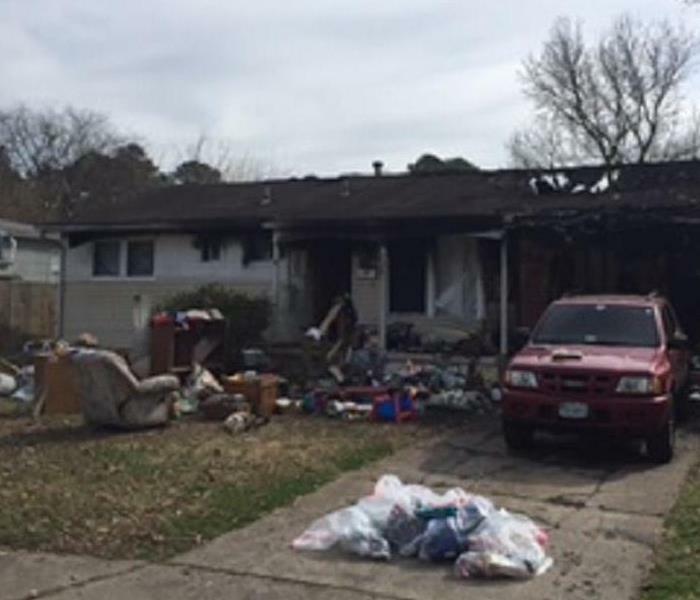 Attic fire in Virginia Beach caused damage to the entire structure. Here are pics of the initial inspection done by our production manager. This house caught fire from a downed power line. Luckily the family came out safe and unharmed. We were able to salvage some of the belongings and clean them as well. 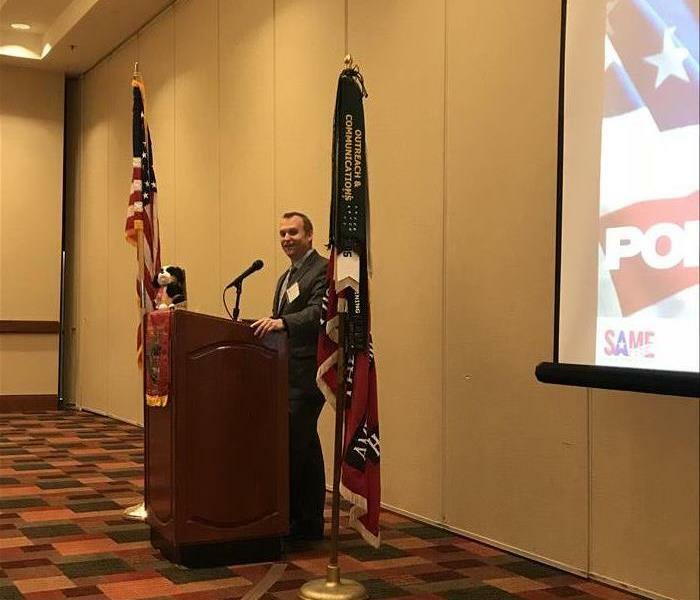 Society of American Military Engineers November 14, 2017. 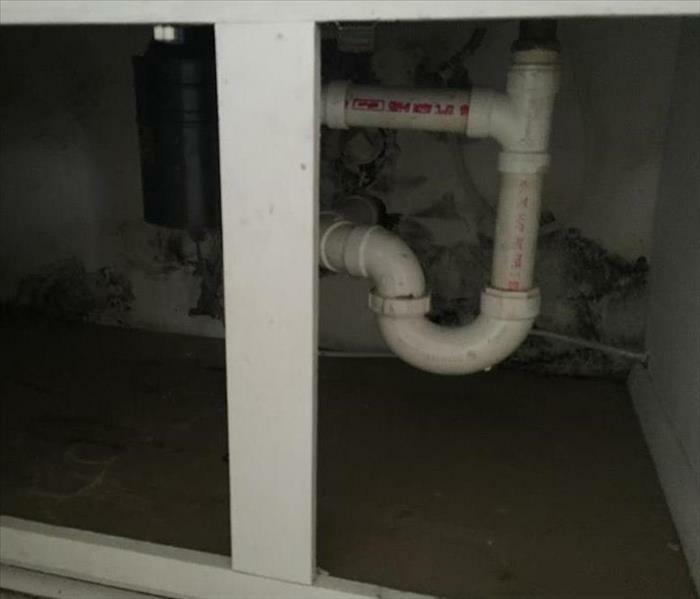 This is a photo from a water loss that we did at a local retirement home in Virginia Beach, VA. 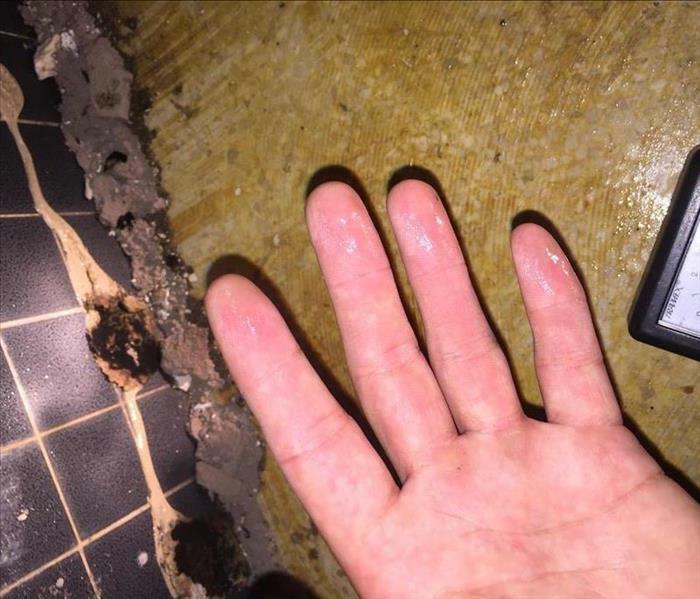 This water damage was the result of a fire that happened in one of the residences room that trig erred the sprinkler to go off...affecting multiple units. 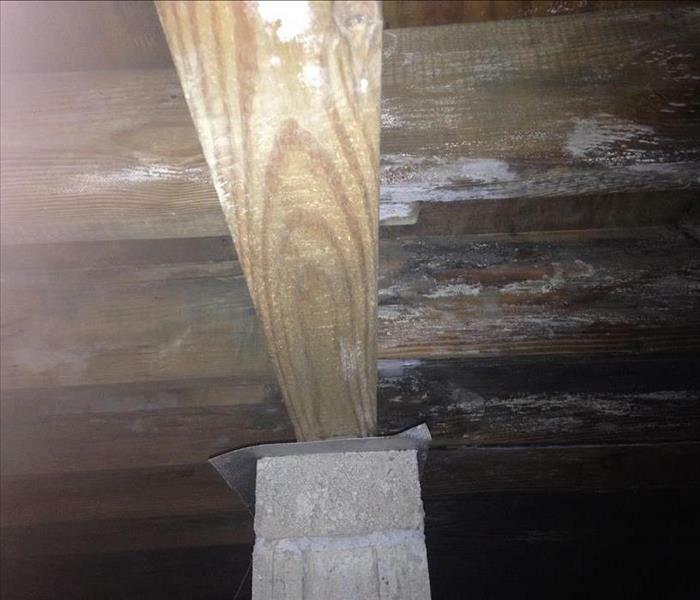 This mold was caused by a slow pipe leak in crawlspace that went on for months. 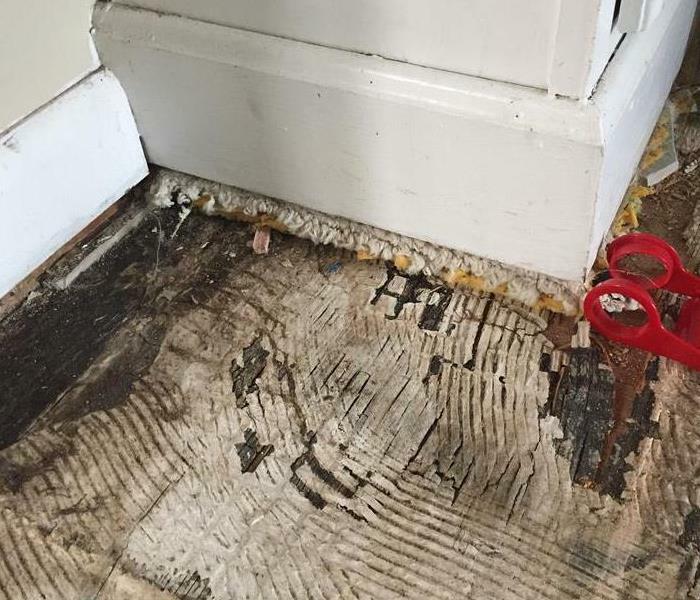 The pipe finally ruptured and when flooring was removed all of the mold that was on the sub-floor was found and remediation was done according to IICRC standards. 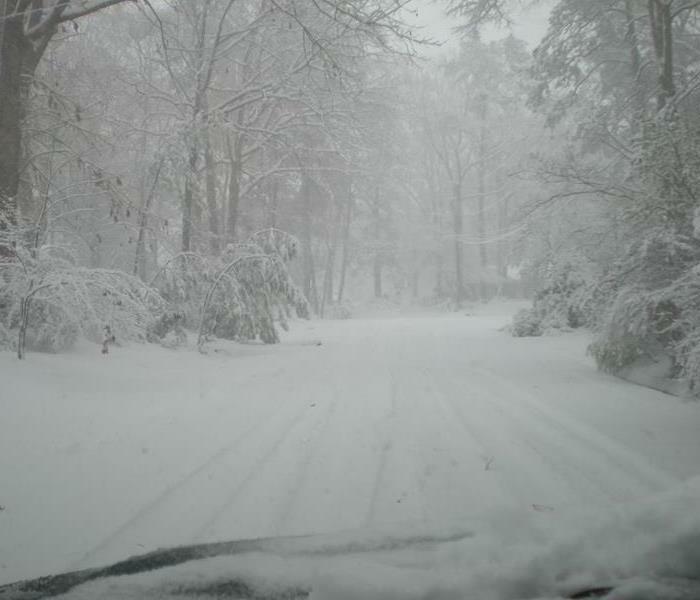 This is from a snow storm that we had last year in Virginia Beach,VA. There were a lot of homes effected by this and a lot of frozen pipes. This photo was after Hurricane Irma. 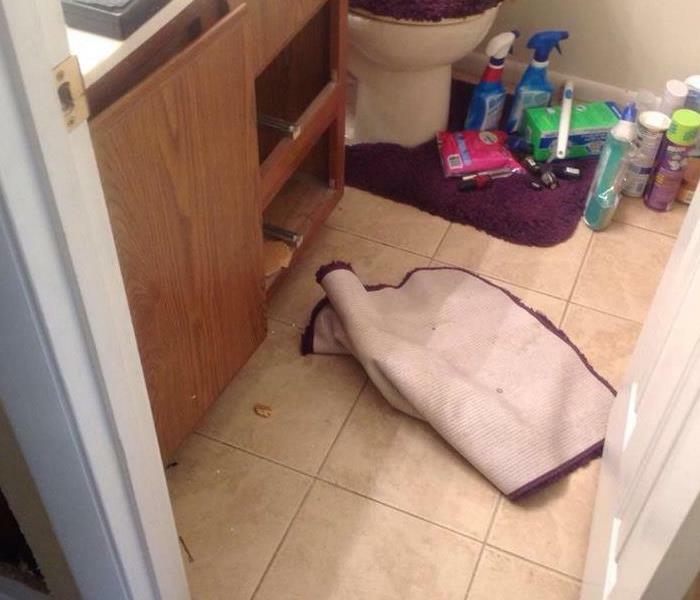 Virginia didn't get much winds from the storm but we did get significant rain damage and flooding in some areas. Our crew was able to get this building back to its pre-water damage state in just a matter of days. 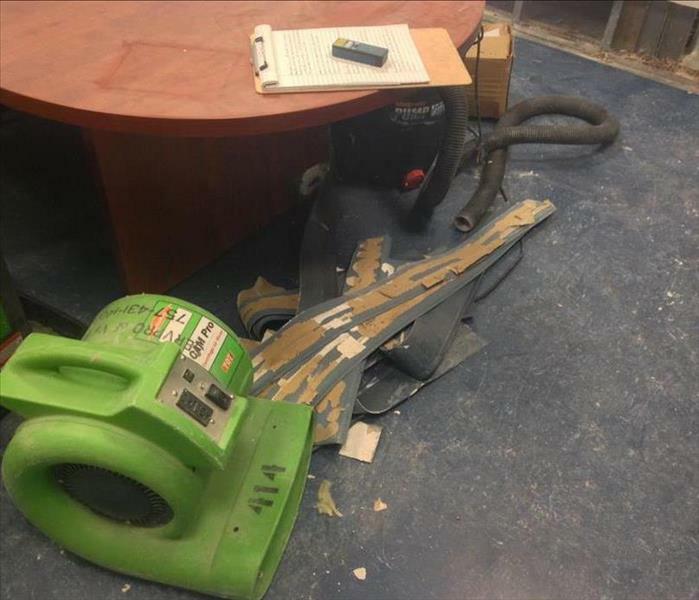 This photo is of a water damage that took place at a local aerospace building in Virginia Beach VA. The cause of loss was a pipe burst which affected the whole building. The building owner was very pleased with our crew and how fast we were able to get them back open and ready for business. 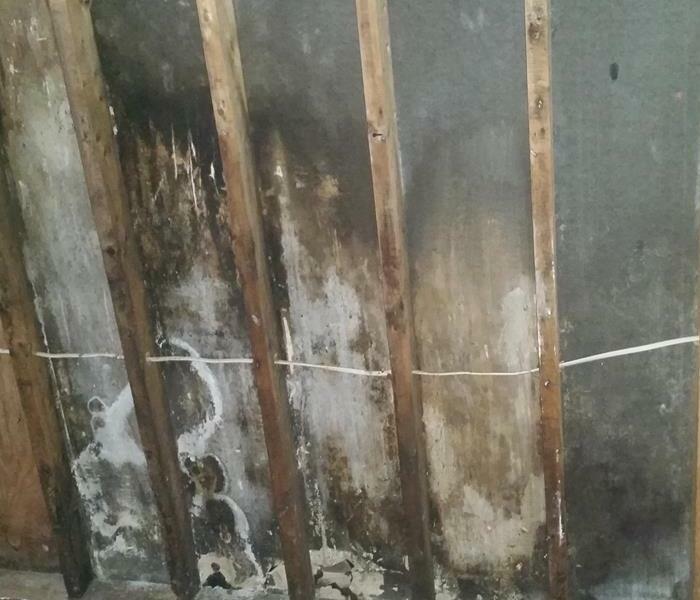 This is a photo of mold damage that we did the mitigation on at a local store in the area. The property management company was very pleased with our crew and the work performed. This photo is of a mold job that we did for a local restaurant. 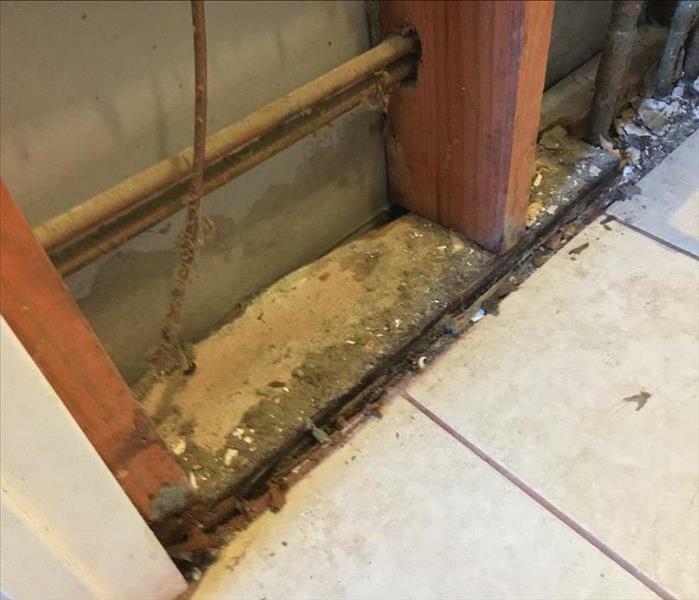 We were able to complete and remediate this mold damage properly and in a timely manner for the restaurant owner to open back up his business. They were very impressed. This mold was found after this local family called us for a pipe burst that happened behind their wall. 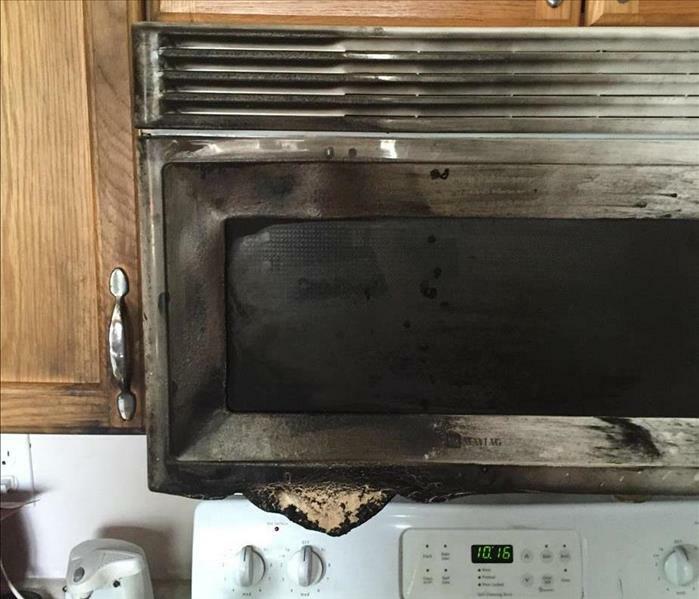 Our technicians saw this after doing demolition and wanted to get this tested before resuming to make sure this was mitigated properly. After confirming with the industrial hygienists that this was indeed mold we performed the proper mitigation. Such as wearing the correct PPE, setting air scrubbers, sanitizing, and also doing tear out as needed to ensure that it was gone. 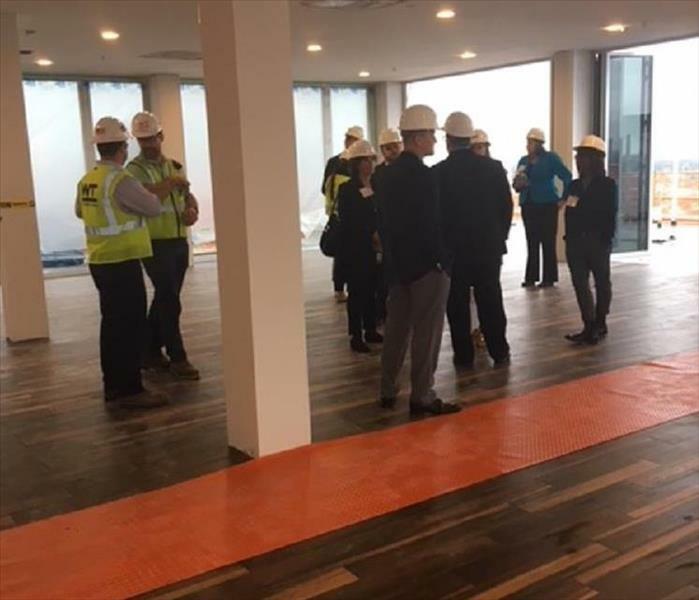 This photo is of the ICON Hardhat event that took place on 11/9/2017. This event was very interesting and informative. 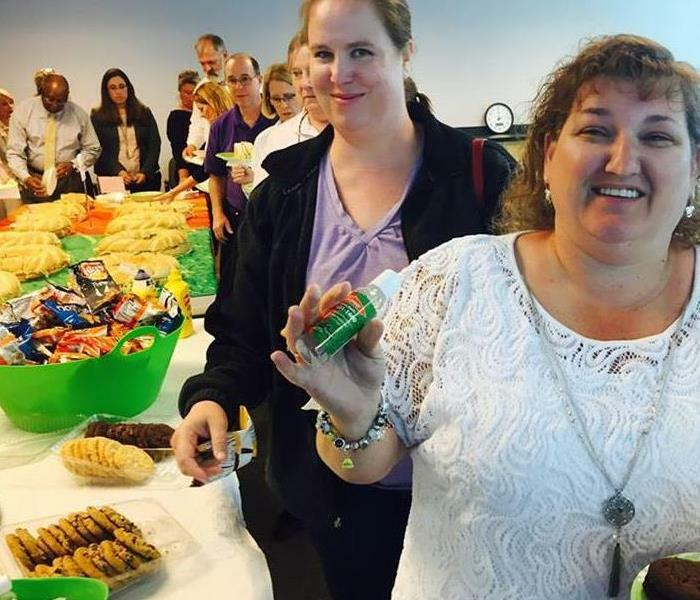 SERVPRO of Virginia Beach was so happy to be apart of this. 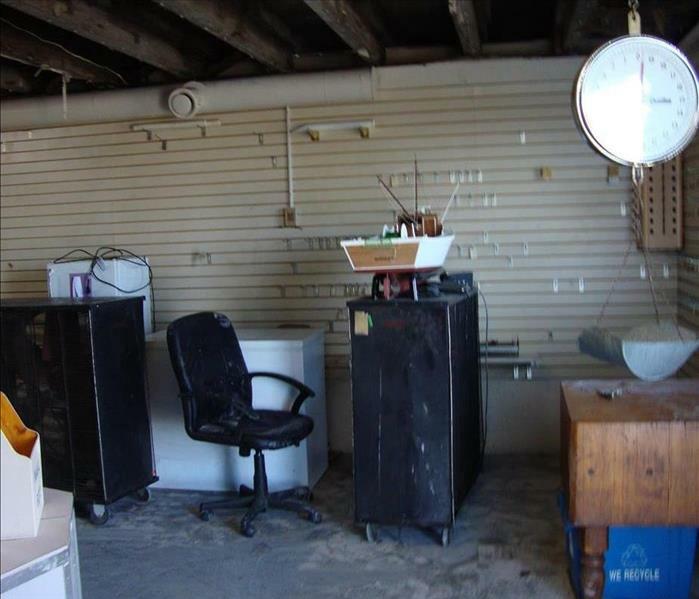 For any commercial restoration that anyone may have please give us a call at 757-431-1400. 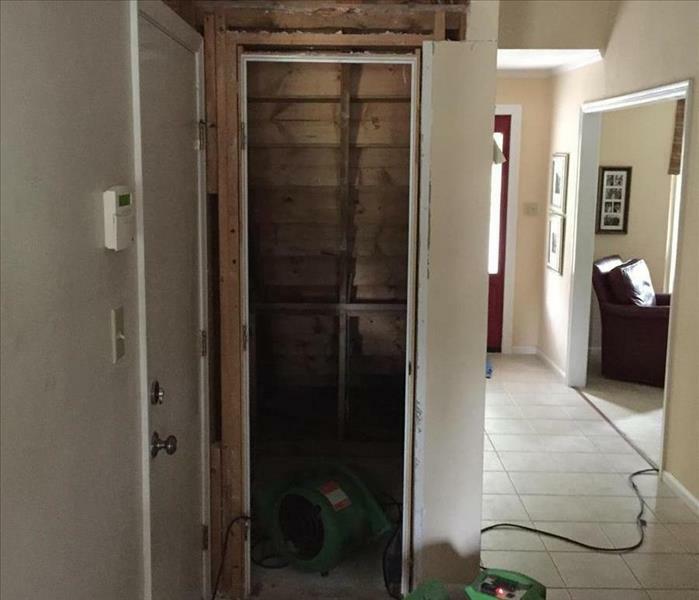 This was the after math of a water damage that happened a Virginia Beach home. The homeowner was impressed at how fast we got his home dry and also did the rebuild. We literally made it "Like it never even happened." This was the aftermath of storm damage from a hurricane that caused significant damage to this commercial building. 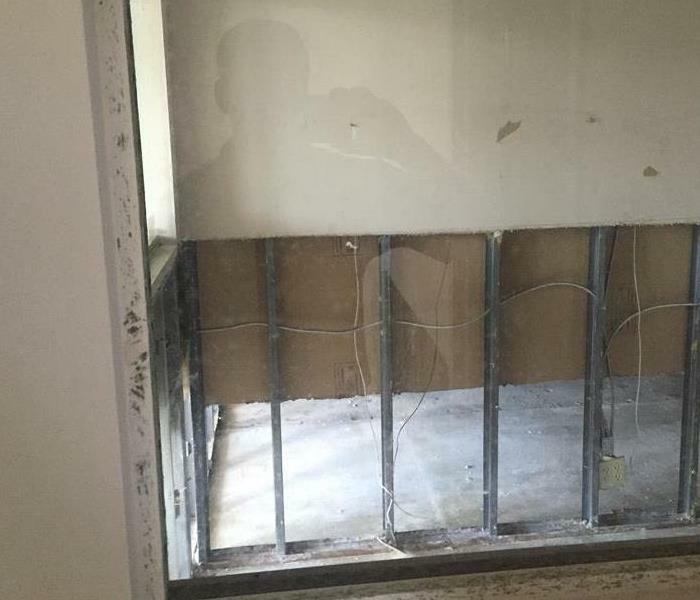 Our SERVPRO technicians had to remove all wet flooring, remove wet drywall and also set drying equipment. Please give SERVPRO of Virginia Beach a call for any commercial mitigation you may need. This was the aftermath of a fire that occurred from a downed power line. 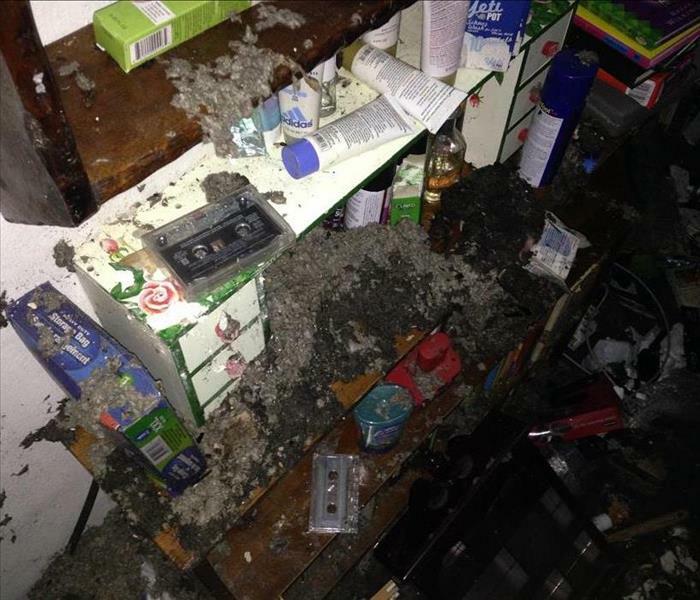 We were able to remove all damaged contents in the home and also clean the soot off the walls to prepare for the rebuild. So we could make it "Like it never even happened." This photo is from September 2017 at the Mermaid Cup. One of our awesome marketing reps (Corey Doe) is seen in the photo working the tournament. We had so much fun at this event. 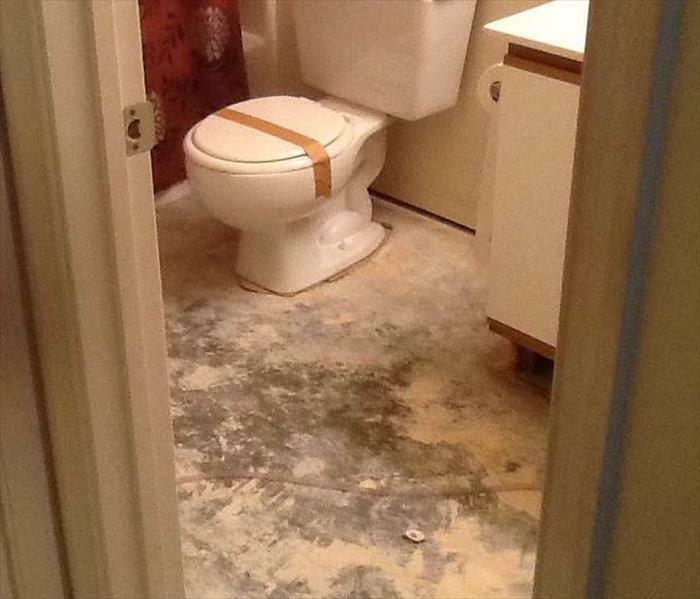 Don't forget to call SERVPRO of Virginia Beach at 757-431-1400 for all of your restoration needs. Don't have a truck or vehicle large enough to hold the ladder you need? SERVPRO of Virginia Beach offers FREE ladder assists. Just give us a call at (757) 431-1400 to schedule one of our property managers to assist you at no cost. 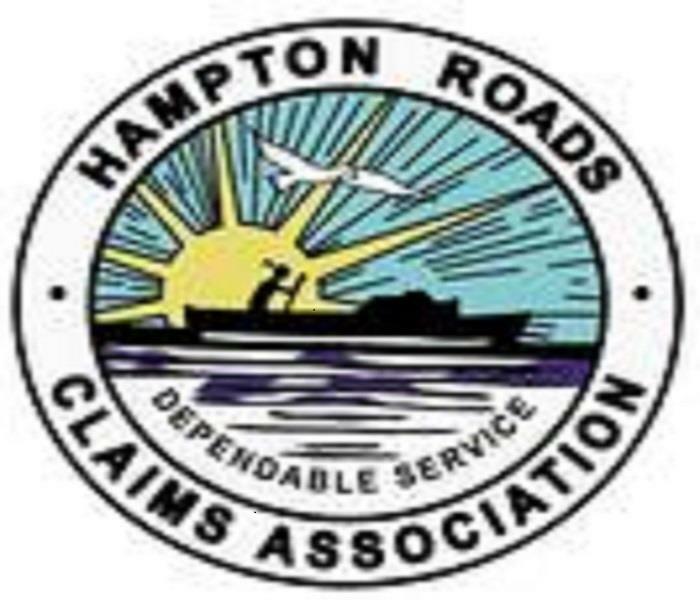 We were happy to sponsor the Hampton Roads Realtors Association seminar given by Chip Dicks to local Realtors and Property managers. As always, we love providing education and answering questions! Keep Your Bedroom Doors Closed at Night -- Could Save your Life! Do you sleep with your bedroom door opened or closed? 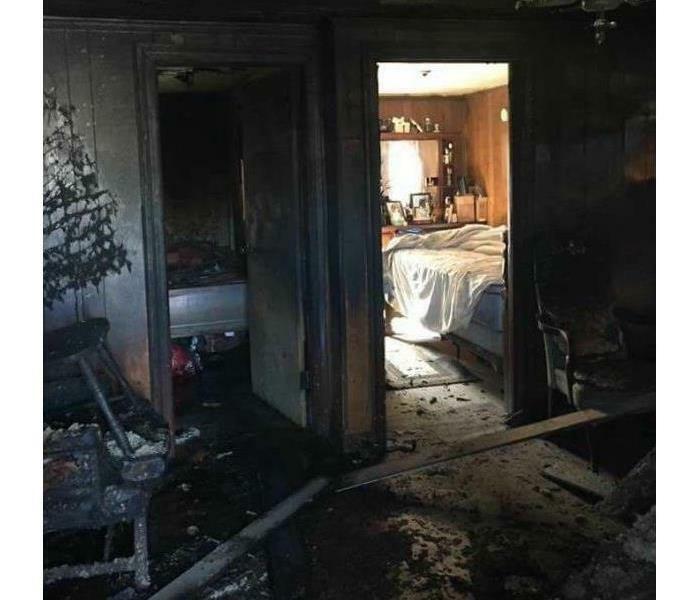 Here is an actual photo of 2 bedrooms in a home that burned. One door was opened and one was closed. Most people don't realize that modern interior doors can keep flames out for up to 20 min. Fire Departments everywhere warn the public to sleep with your doors closed at night! Our emergency services crews at a three condo water loss after hours. SERVPRO is available 24/7 to respond to your emergencies whether it is a fire, water or even a board up after a storm! 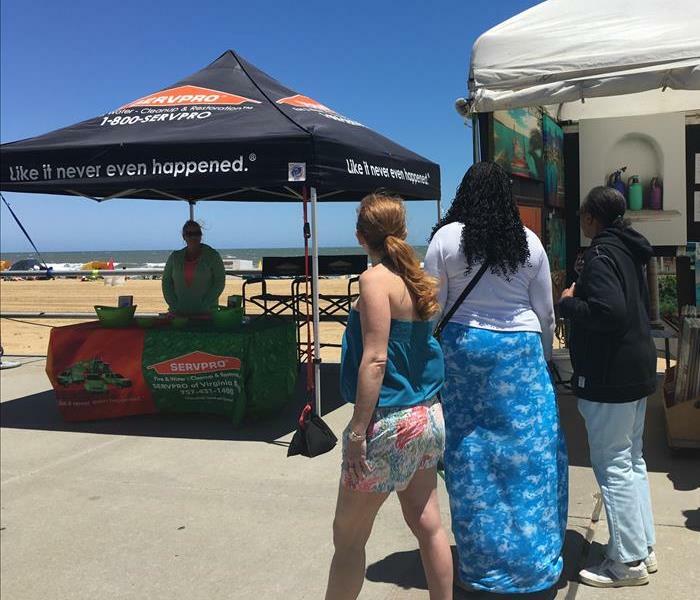 SERVPRO of Virginia Beach had a great time at the 61st Annual Boardwalk Art Show this past weekend! We met lots of people (visitors and residents) and enjoyed the beautiful weather. Thank you for coming out to see us! 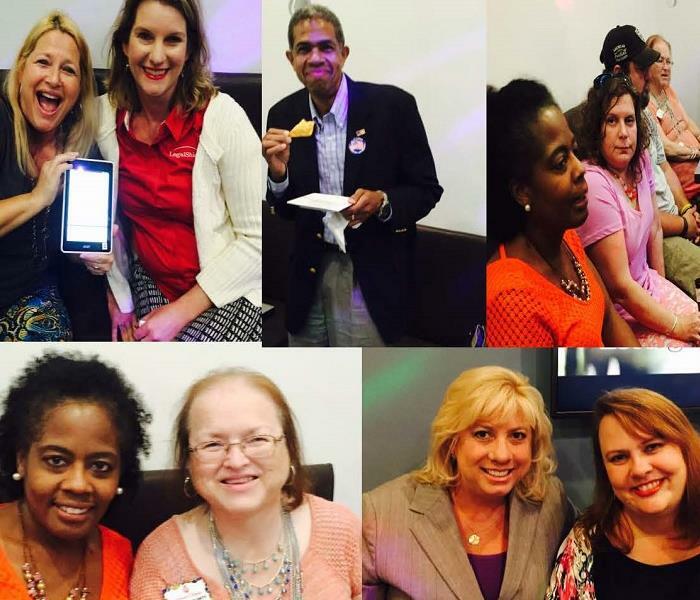 Dainan Gibson, one of our Restoration Consultants, had a great time at the HRCVC Social at AMPLITUDE Karaoke (Amplitudekaraoke.com), a Korean-fusion karaoke bar/restaurant at Town Center in Virginia Beach. 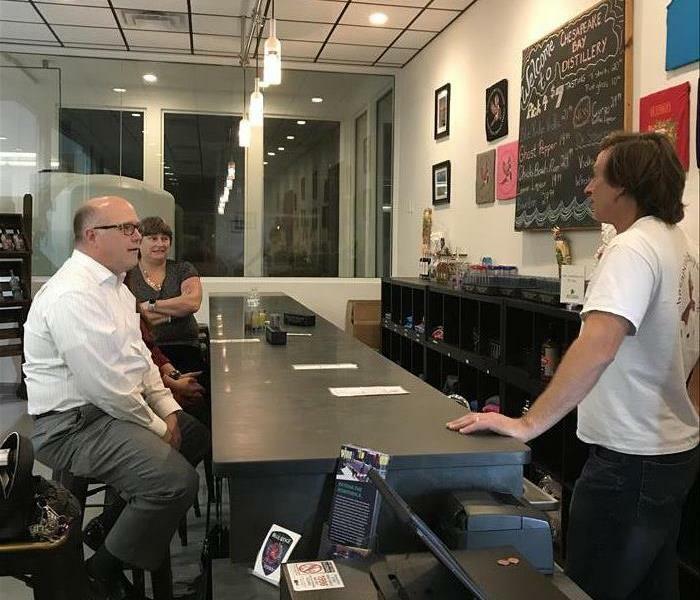 She enjoyed wonderful food and drinks, and talked with members about how our company can give back to the Hampton Roads nonprofit community and grow through HRCVC. Go to volunteerhr.org/hrcvc to learn more about this important group. 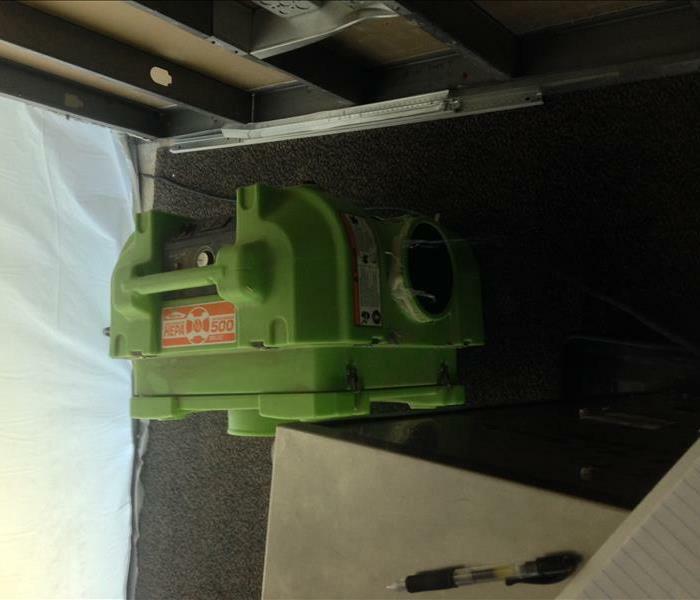 This commercial trailer houses a 5000 CFM Desiccant, capable of drying a large commercial building, and it's own 150kw generator. Together, this equipment can save both time and money. Looking forward to the HRCA Golf Outing this Wednesday May 25, 2016 at Red Wing Golf Course.